Call it a sleeper, or a Q-car, there is something undeniably fun about having a car whose performance doesn’t quite match its exterior message. Estate cars, T-models or station wagons, call it what you will, the mental image they conjure up is mild at best. Here at Kleemann we are fond of having our cake (Danish?) and eating it too. You can carry all you gear for a long weekend with friends in style, comfort and speed in the Kleemann E63S K4, and set record lap times too. 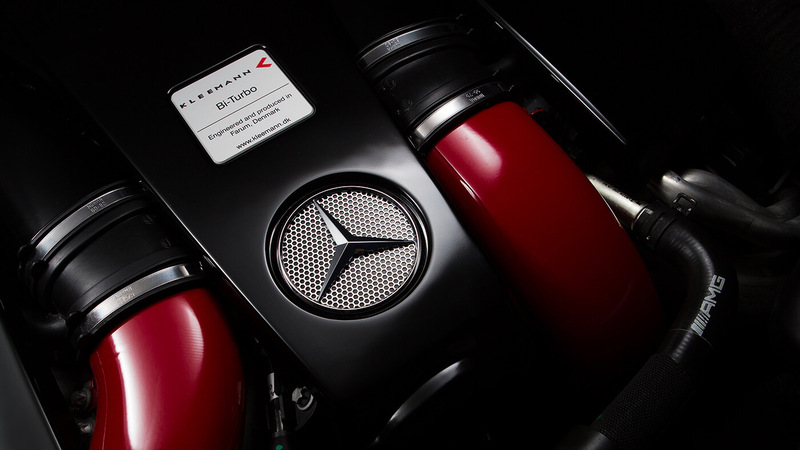 Using an E63S AMG Touring as the basis for this project Kleemann’s engineers set out to make an all seasons super car, and succeeded. 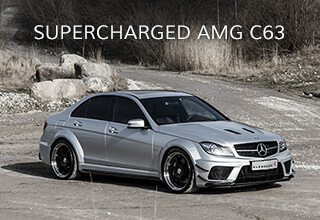 849 hp and 1361 Nm (1004 lbs-ft) are at your beck and call thanks to the Kleemann modified turbos, ECU software and high flow turbo bridge pipes with race catalyst downpipes. 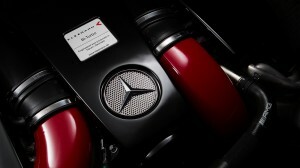 All that power needs a tasteful of growl, which comes courtesy of the Kleemann X middle muffler. Increased boost pressures put high demands on the intercooling system, and hot intake air is no way way to make reliable power. To combat elevated charge air temperatures the intercooler system was enhanced with larger heat exchanger. 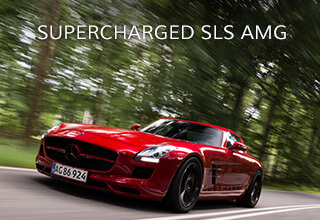 Even with a sophisticated 4MATIC system, 1361 NM (1004 lbs-ft) has an uncanny ability to spin tires. Kleemann’s engineers specified LSD units in both front and rear diffs, allowing full power distribution to all wheels, all the time. Subtle Anthracite grey TS-7 wheels (9” x 20” F, 10.5” x 20”) were added to complete the package. 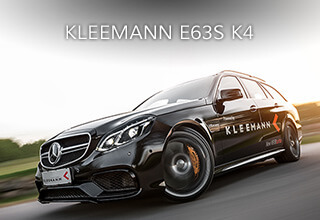 Don’t let the weather spoil your drive time, own the road, in any season, with the Kleemann E63S AMG K4.